Middle Schoolers Inside and Out! In the photograph above, middle schoolers work indoors on research projects related to their current book The Outsiders. Students also reflect and write out of doors. 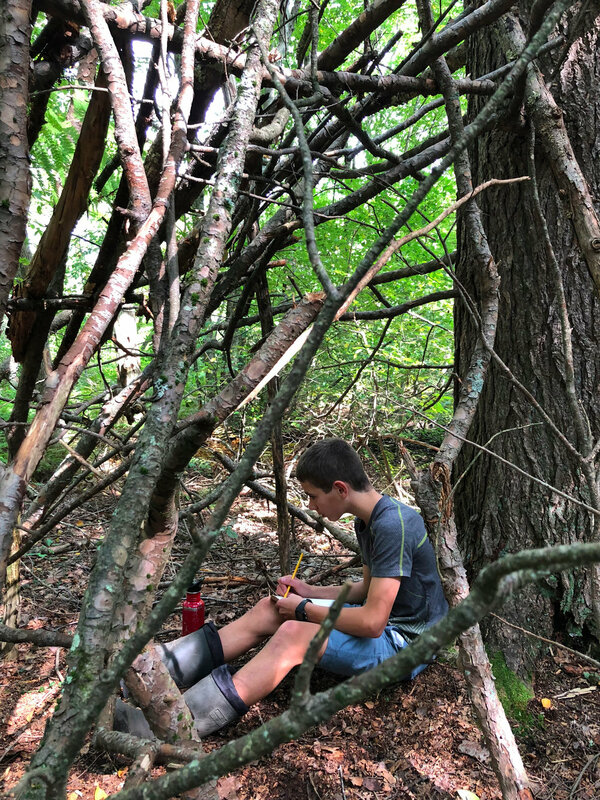 Shortly after school began, they went into the woods and were asked to find an approximately 3 x 3 foot plot to call their own, a private space where they could not see each other but where they were within earshot of teachers should they need assistance. Below you can see two photographs of middle schoolers quietly at work. Students return to their chosen plots once a week: This is part of our mindful education. Newer PostJoyful Learning in the K/1 Classroom! Older PostFourth and Fifth Graders Do Math Indoors and Out!